Karyn Cole Karyn Cole is the lucky mom of 2-year-old girl/boy twins, Mia and Miles. After teaching elementary school for over 15 years, she now spends her days trying to enrich her class of two and organizing the chaos that is her household. After bedtime, she enjoys baking, crafting, and watching bad reality TV. I don’t know about you, but my New Year’s Resolutions tend to be the same year after year. Eat more fruits and vegetables. Avoid processed food. Drink more water. Remember to floss my teeth each night before bed. Despite the best of intentions, by the end of January I am back to my old habits. So a couple of years ago, I decided to set goals that related to my passions and hobbies instead. I wanted to get back to doing some of the things I loved before I had my twins – cooking, crafting, and photography. In 2016, one of my goals was to organize my photos and get them off my computer so I could enjoy them more. If you, like me, have (literally) thousands of photos sitting on your computer, the thought of managing them all might seem overwhelming. I decided rather than try to reorganize what was already there (that might be a project when the twins go to school! ), I would start fresh with the new year. Upload your photos monthly. I transfer all of my photos from my camera and my phone at the end of each month. I created a folder for the year, with an album within the folder for each month. If you use the month’s number in the title of the album, for example 01jan17, they stay in order. Otherwise my computer alphabetized them, which made things harder to find. Make a photo book for each year. I chose to set my books up to start and end each April, which coincides with my twins’ birthday. Each month after I upload my pictures to iPhoto, I upload the same file to Shutterfly. Then I create a two-page spread of the month’s best moments and write a brief blurb to go along with the photographs. At the end of each book, I have a page dedicated to each child with his or her vital statistics and favorites for that year. There are tons of sites dedicated to helping you turn your photos into beautiful albums. I just happen to be the most familiar with Shutterfly. I like how easy it is to customize. Some apps or sites will place your photos automatically. There is even an app, Chatbooks, that will turn your Instagram photos into a softcover book for just $8! Create fun photo books for your kids. One year I used some of our favorite pictures to make Mia and Miles their own ABC book. This Christmas, I made a truck book for Miles featuring pictures we had taken at various touch-a-truck events and fire station tours. Mia received her own first cookbook. It is filled with pictures of her in the kitchen and recipes we made together. I think in the future this is going to become a Valentine’s Day tradition. This way I’m not rushing to finish the books during the already hectic holiday season. And I can include pictures of all of our Christmas fun! 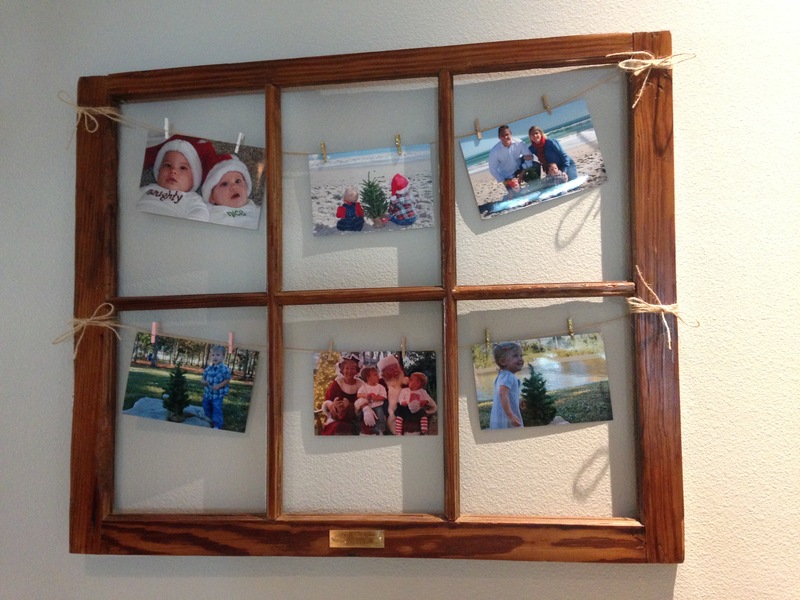 Change the pictures in your frames and displays often. The first change I made was to hang gallery shelves over our living room sofa. This way I could easily change out the framed pictures on display. I also change out the pictures on our dining room sideboard and an empty window frame in our kitchen each season. As I make small changes to our décor, I put out my favorite Easter pictures, beach photos, or pumpkin patch pics … It makes me happy to look back at these memories and gets the whole family excited about our traditions. These small changes really helped me to get a handle on all of the pictures I had been taking. I truly enjoyed making the albums for my kids and they love to read their special books. Being surrounded by family photos in our home brings me happiness every day. Here’s to a wonderful 2017 filled with many beautiful moments to capture on film!